5 people in the past two days have asked me if I’m mad at them or if I’m ignoring them… this is leading me to think i present as more shut down than I realize… I was going to throw it out there to you guys, but then realized that I haven’t been here much lately. I guess I am more shut down than usual. Sorry I haven’t been around much lately. It’s been a combination of stuff, mostly stress and moderate depression symptoms. I stopped the lexapro after a week due to side effects. I’d triggered myself with some doctor’s appointments, and just my general malaise around holidays. It’s finally getting a bit easier to do things again. In an effort to have some fun with the holidays this year, I joined a holiday stocking swap. 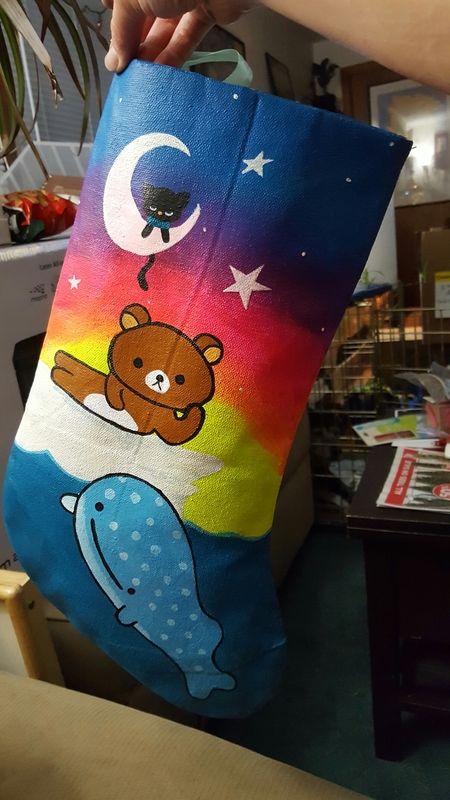 I was really excited about the concept of painting a custom stocking based on the likes and dislikes of my random partner. I went through a bunch of initial concept ideas, but crossed them off for various reasons (mostly because I couldn’t execute them properly). I originally wanted to turn the stocking upside down and make it into a unicorn. I was going to add a horn, ears, and mane to the stocking while opening either the back of the neck or the head to keep the concept of a stocking. That involved too much sewing though, so I scrapped it. 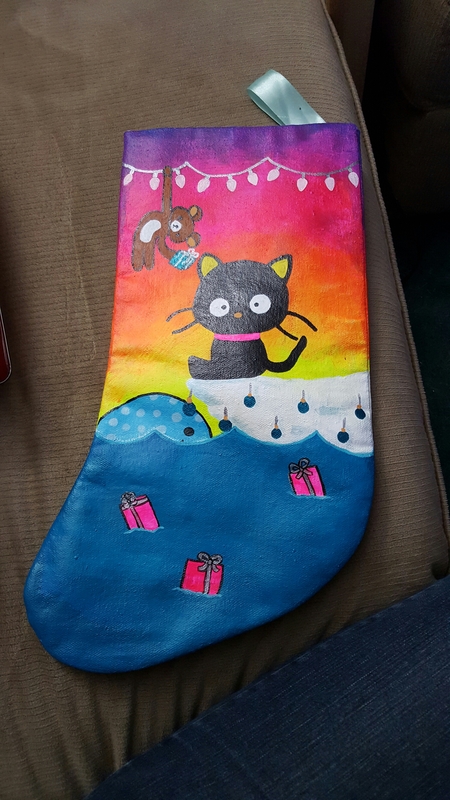 I eventually settled on simply painting a design on the stocking. I think it came out cute. It still needs a few finishing touches, but I like it so far… the stars, moon, and bulbs all glow in the dark. The ice also has a coat of blue interference paint to give it an icy shimmer. It needs to be sent out by the end of the week. I will be looking for a couple of other things to add to the package, then off it goes. I hope the recipient likes it… if nothing else, L really likes the stocking and wants another one for herself. Guess I’m off to buy more paintable stockings. I’m not sure exactly what I was hoping to get out of talking to Dr F about my memories, but I don’t feel like I got what I needed… I wish I knew what it was I needed. I know part of it was wanting to talk to her about her experiences with her other patient who self harmed like I did (without breaking confidentiality of course), but I didn’t know what to ask or how to ask about it. Other than that, I’m at a loss for what I needed from the interaction. She was really great about things though, and offered to have me come in again in 6 months or so to check in. I declined as much for financial reasons as for not wanting to be a thorn in her side. She laughed and said that insurance will cover “problem” appointments, even if they only cover one annual ever 2 years… I guess she’s not pissed at me if she offered to have me come in more often just to touch base. Maybe next time I will find a way to talk to her about her experiences with that other patient. I’ve decided that I want to talk to my gyn a bit more about my history. She’s seen the aftermath, I figure she might benefit from hearing the original story (though not necessarily specific details). Granted, I’m struggling with the selfishness of telling her (it’s really only so I can talk to someone other than Dr C about it. I trust Dr F, and she’s still bound by confidentiality), but I hope maybe it will help her understanding of any other patients that might present like I did. I know I scared and shocked her when I presented to her after self harming in an attempt to rid myself of body memories. I can still hear the panic in her voice, and see the expression on her face as she suddenly felt helpless to fix things (I’m guessing she’s not used to feeling helpless regardless of the emergency). I don’t remember much else about that day, but I remember her panic being palpable in that moment before her mask slipped back into place. I never meant to traumatize people, I was just trying to escape hell. Anyway, I see Dr F again next week. I’m going to attempt to talk to her at that time. I’m going to write down what I want to tell her. I hope that will provide something for her to at least read if I chicken out again. I really want to be able to share this story even though I don’t always believe it myself… now, to put my thoughts in coherent order so I can express them to Dr F.
I’ve seen Dr F for going on 5 years now, yet I still panic sitting in her waiting room. Every once in a while, I get up the nerve to try to explain why someone’s comments in support of trump are hurtful to others; that what the man stands for and how he behaves are abusive… and every time I come up against people telling me how wrong Hillary is. I didn’t bring her into the conversation, but that’s their only defense. 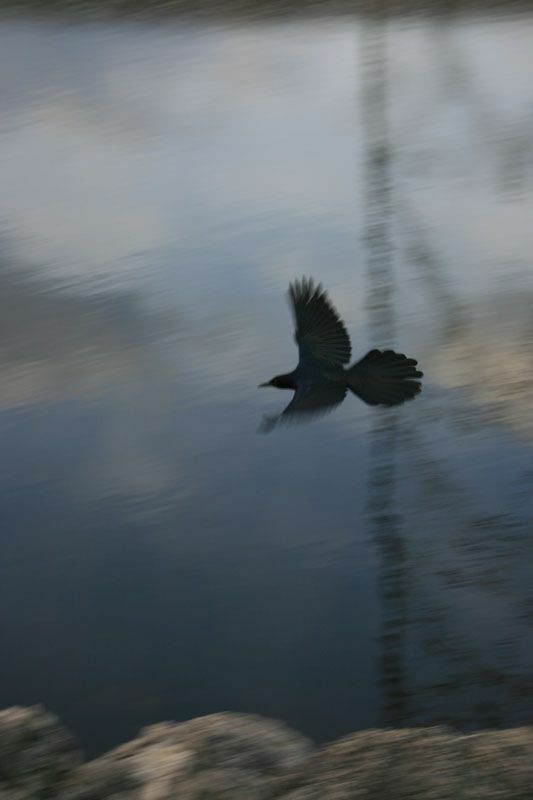 I’m back to feeling like I did growing up; that there’s no escape because no one believes there’s a problem.